Introducing a new naming designation, a more defined road presence and even greater performance. 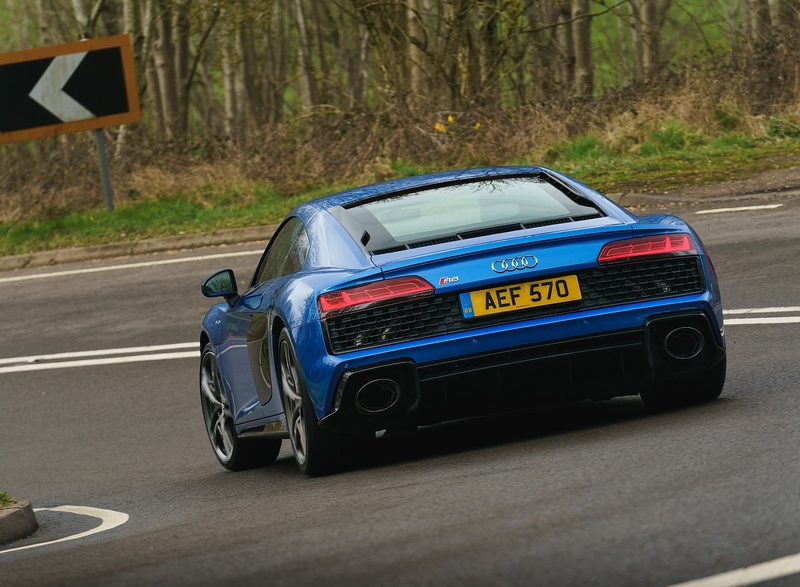 More power and torque for the V10 naturally aspirated engines. 570PS quattro and 620PS performance quattro version. Available as a Coupé and Spyder from market launch. 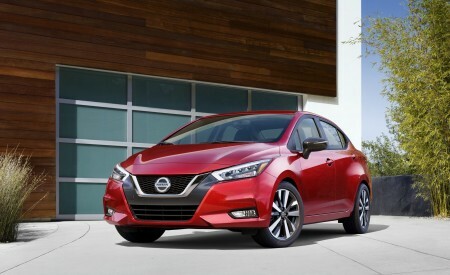 Striking exterior design includes a wider, flatter Singleframe grille. UK ordering expected to open in early 2019. 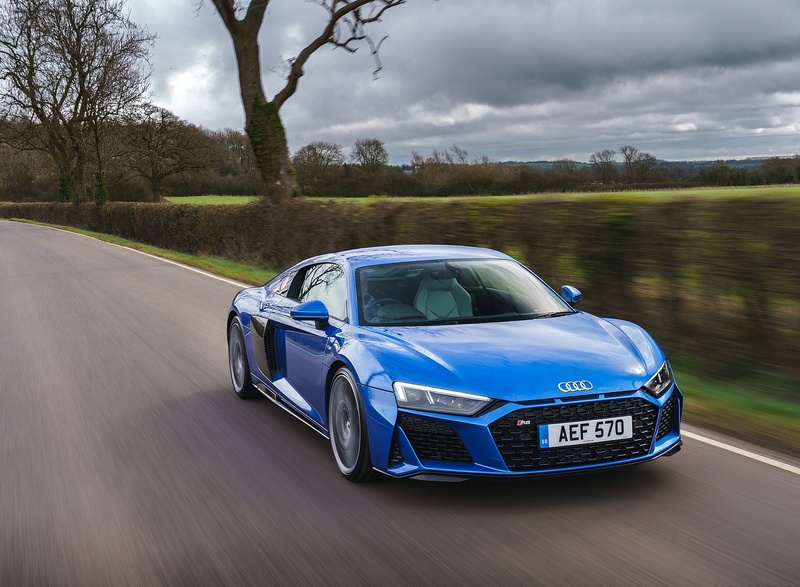 “Born on the track, built for the road.” This intrinsic Audi Sport philosophy rings particularly true in the case of the new R8, which is set to take to the road in early 2019 featuring a raft of changes, but also two important constants – retention of the much loved naturally aspirated V10 petrol engine, and suffusion with a sizeable dose of racing DNA achieved by sharing 50 per cent of components with the R8 LMS GT3 competition car revealed recently at the Paris Motor Show. 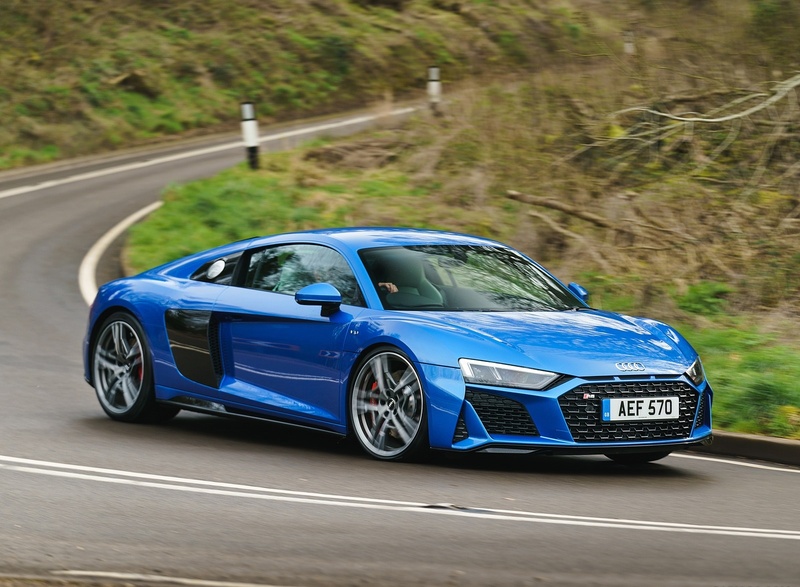 Highlights of the latest R8 range include more power, torque and performance, including a first foray beyond the 200mph mark for several versions, and even greater handling precision thanks to suspension and steering revisions. 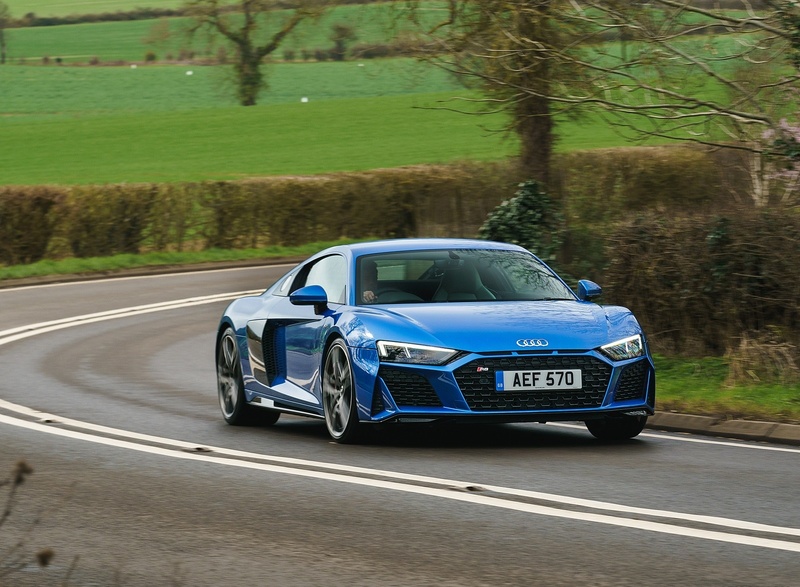 The power of the naturally aspirated V10 engine at the heart of the R8 is now uprated to 570PS in the ‘standard’ R8 Coupé and Spyder V10 quattro. 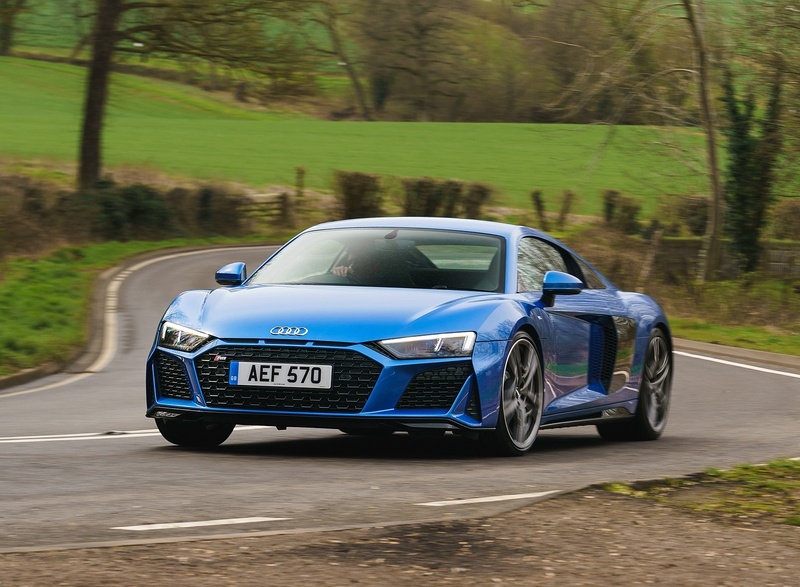 The top V10 plus versions in each body style will in future carry the name ‘V10 performance’, aligning them with the most powerful models elsewhere in the Audi Sport range, and have also benefited from a power upgrade to 620PS. The four versions will go on sale in Europe in early 2019. Instant response, lightning-fast high-revving and a unique sound – the heart of the Audi R8 is its naturally aspirated ten-cylinder engine. 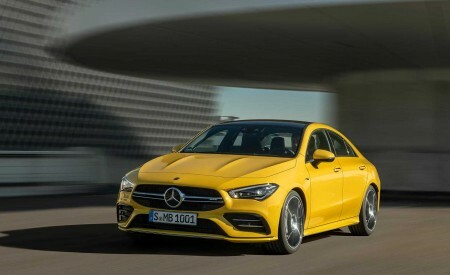 With the basic unit, the 540PS of power has been increased by 30PS and the torque boosted by 10 Nm (7.4 lb-ft) to 550 Nm (405.7 lb-ft), which is on tap at 6,500 revolutions per minute. 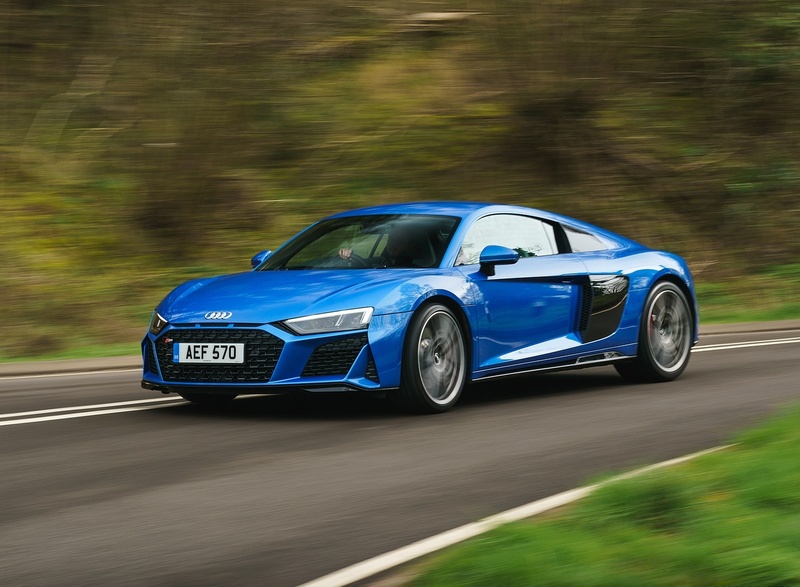 The Audi R8 V10 quattro accelerates from 0 to 62mph in 3.4 seconds (Coupé) and 3.5 seconds (Spyder) before reaching a top speed of 201mph (Spyder: 200mph). 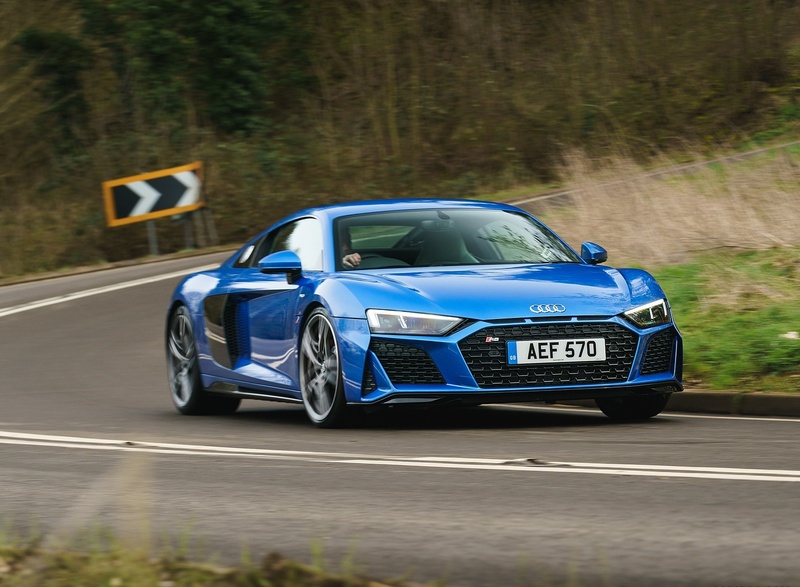 The 5.2 FSI in the Audi R8 V10 performance quattro generates 620PS instead of the previous 610PS, with peak torque of 580 Nm (427.8 lb-ft) improving upon the previous 560 Nm (413.0 lb-ft). The increase here is primarily the result of an optimised valve train with components made of titanium. The Coupé sprints to 62mph in 3.1 seconds, the Spyder in 3.2 seconds. The propulsive power ends at 205mph and 204mph respectively. Both engines come with a particulate filter to reduce emissions more effectively. Modifications to the suspension provide even more stability and precision. The assistance has been retuned both with the optional dynamic steering and the electromechanical power steering. 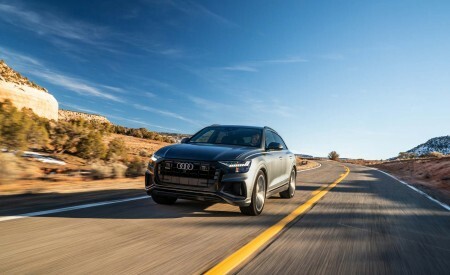 Steering response, transitions between individual drive modes and feedback from the road come across as even more precise across the entire speed range. 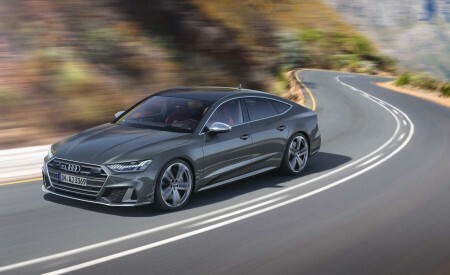 In addition, Audi Sport has made the distinction between the profiles available as part of the Audi drive select dynamic handling system – comfort, auto, dynamic and individual – even clearer. On the R8 V10 performance quattro the three additional programs dry, wet and snow form part of the Performance mode as standard. They adapt the key dynamic parameters to the friction coefficient of the road. 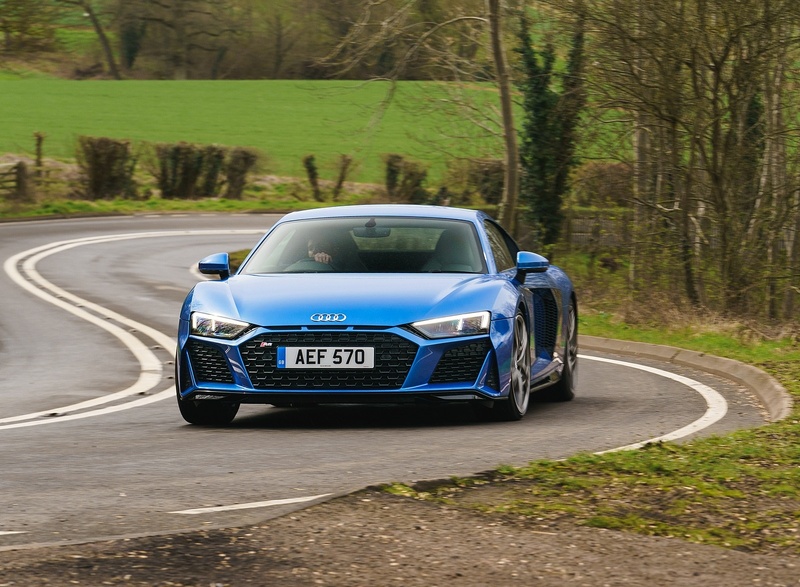 Thanks to the enhanced Electronic Stabilisation Control (ESC), the Audi R8 V10 performance brakes from 62mph to a standstill up to 1.5 metres earlier; the stopping distance from 124mph is up to five metres shorter – in each case depending on the exterior conditions. 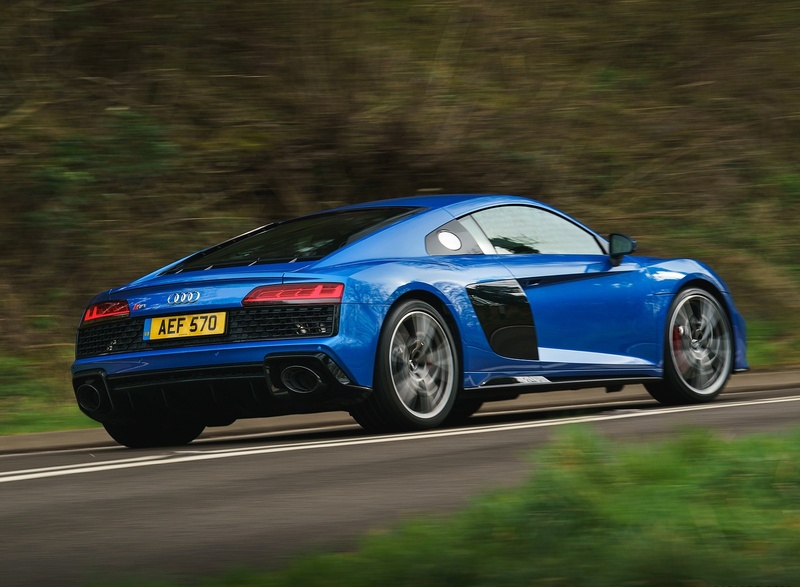 The new Audi R8 V10 quattro is equipped with factory-installed 19-inch wheels. 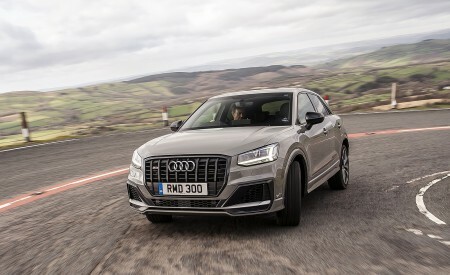 For the standard-fit steel discs Audi supplies red as opposed to black painted calipers as an option. The ceramic brakes generally come with a grey or red finish. 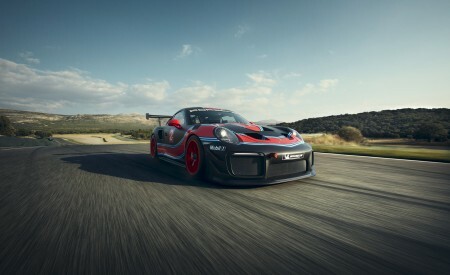 The anti-roll bar at the front is optionally made from carbon fibre-reinforced polymer (CFRP) and aluminium, which cuts weight by around two kilograms. The honed character of the new R8 models also becomes clear visually. The Singleframe radiator grille has an even wider, flatter line. 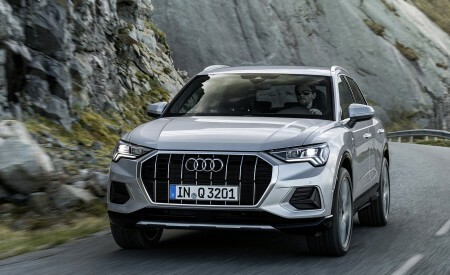 Thick bars divide up the large air inlets, and flat slits in the hood are reminiscent of the Audi Ur-quattro brand icon. 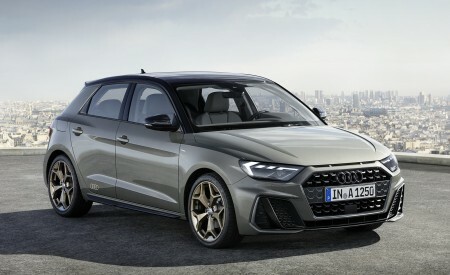 The new front splitter is now wider, underscoring the focused look. 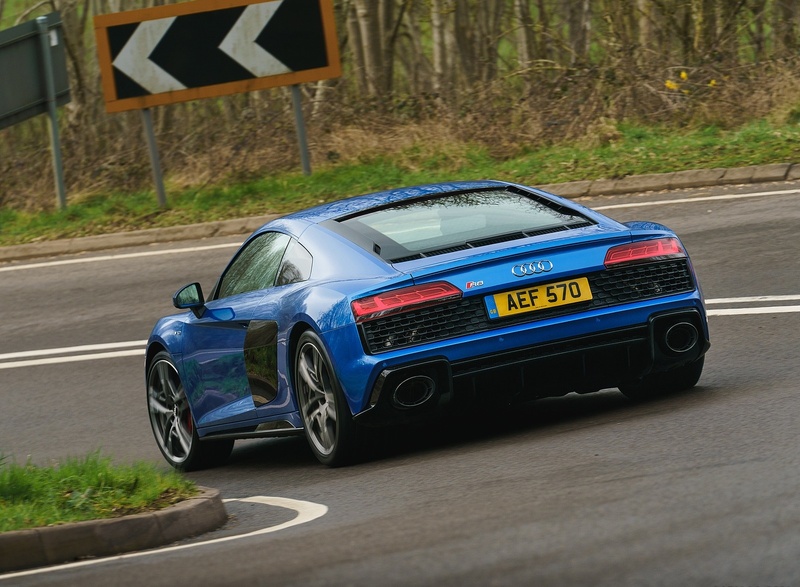 The air vent grille runs across the full width; the diffuser has been drawn upward, making the R8 seem even wider. In the engine compartment the air filter is situated under a new, three-part cover, which is available in a choice of plastic or carbon fibre. 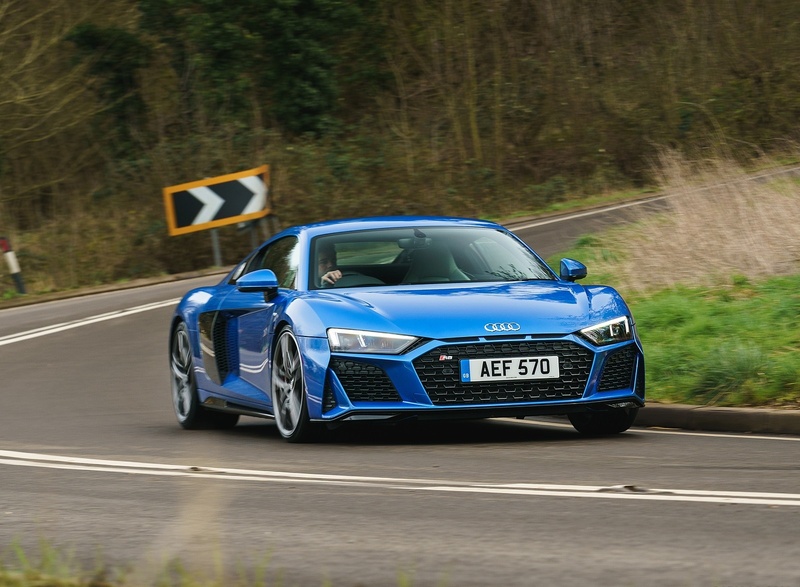 R8 customers can choose from three exterior packages depending on the engine variant; these packages add various highlights to the front splitter, the side trims and the diffuser. Standard specification for the R8 V10 quattro with 570PS is high-gloss black; the top-of-the-line version R8 V10 performance quattro with 620PS comes off the production line with a matt titanium look. The high-gloss carbon package is available for both engine variants. 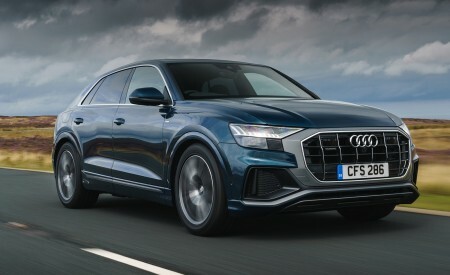 As an option, the Audi rings and badges on the exterior are painted in high-gloss black; the new metallic colours Kemora grey and Ascari blue are recent additions to the paint range. 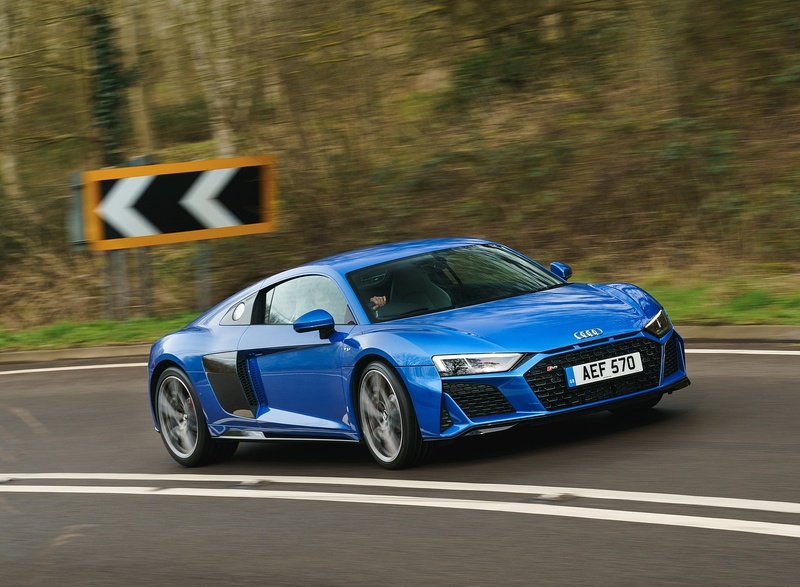 The new look also includes the Audi R8 interior with its driver focus and new colour and stitching options. 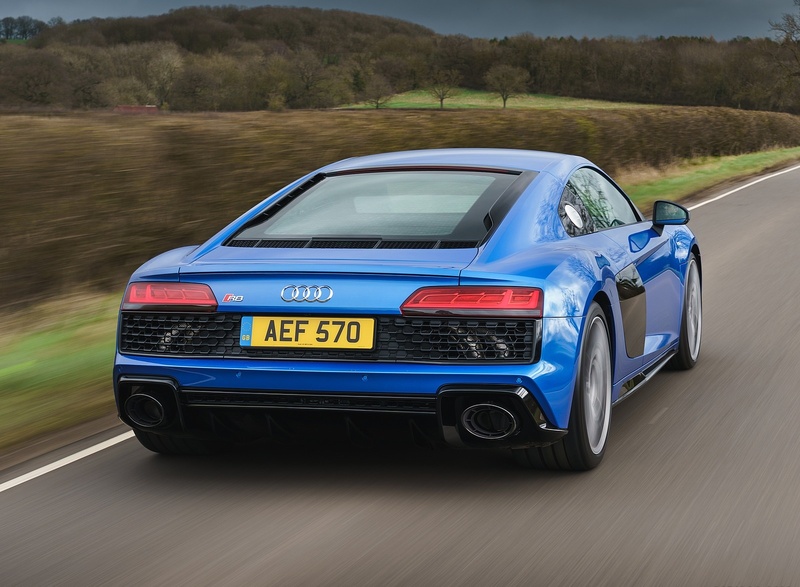 The Audi exclusive range gives customers the opportunity to customise many details of their Audi R8 – inside and out. The Audi R8 is produced under the management of Audi Sport GmbH, a 100% subsidiary of AUDI AG, at the “Audi Böllinger Höfen” site in Heilbronn – very close to the tradition-rich location of Neckarsulm. Up to 500 highly-qualified employees work here at the 30,000 m2 production site. 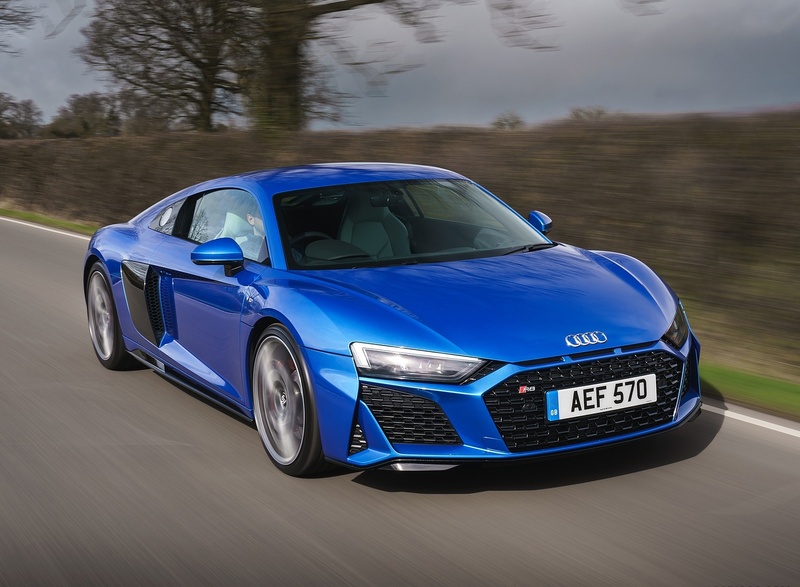 The R8 production is organised as a flexible factory – where Audi Sport GmbH is further expanding its competence with regards to small batch production. Self-driving assembly skids, known as driverless transport systems (DTS), are not only used to carry the finished, painted body, but also for assembly, and replace the classic conveyor technology system. The DTS transport system has autonomous navigation that uses environmental features and RFID (Radio Frequency Identification) as well as high-performance capacitors. During assembly, the employees perform a large proportion of the manual activities in 15 cycles. Flexibility is extremely important at the “Audi Böllinger Höfen” site – alongside the series models, the employees also produce the R8 LMS GT4. This demands a permanent transfer of technology from the motorsport sector, as well as very strong qualifications due to the complexity of the work processes. Before delivery, every new high-performance sports car must pass a demanding acceptance process. 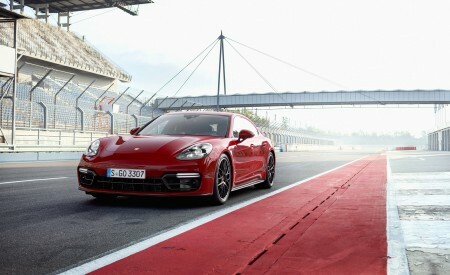 This is followed by a quality inspection on the factory’s own test track and a test drive on public roads. 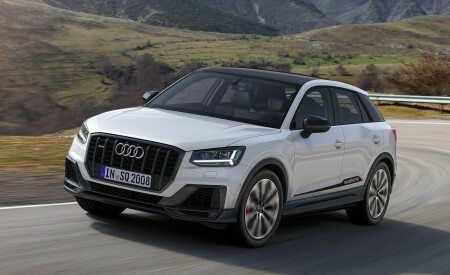 Only then is the new Audi released for delivery to the customer. 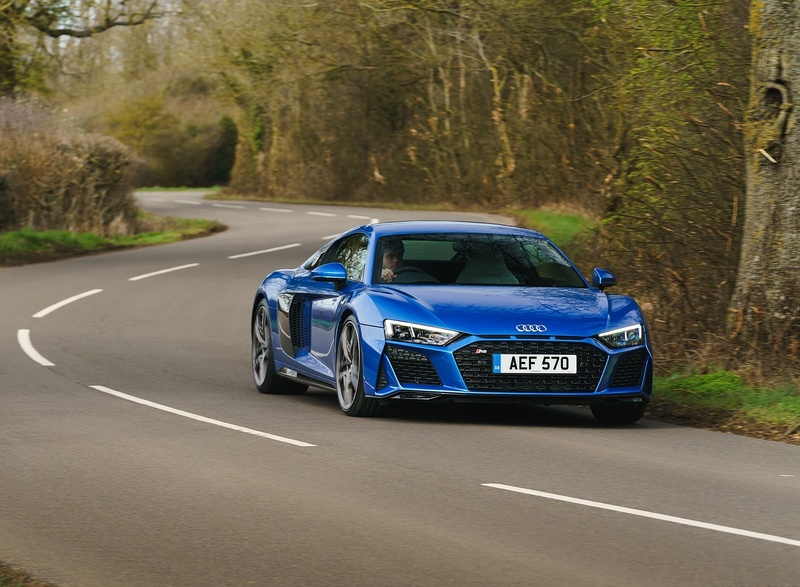 During the first quarter of 2019, the new Audi R8 models will be available to order via the Audi Configurator and in Audi Centres across the UK.